Lil Nas thinks Old Town Road can reignite the chart with a remix. The first version is exactly doing well on billboard. Lil Nas then needs to double it harder by enlisting Ray Crus on the remix which sounds extremely good. 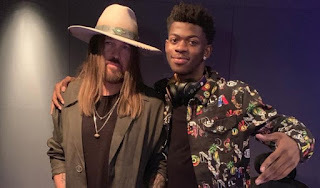 Billboard has one made comment on this song saying “Upon further review, it was determined that ‘Old Town Road’ by Lil Nas X does not currently merit inclusion on Billboard’s country charts.” With no waiting you listen to the collaboration below.